This Sugar Bolus give away has ended! 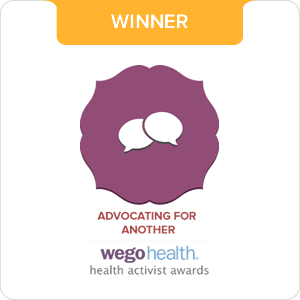 To find out who won, check out this post. Keep coming back to The Princess and The Pump - I've got more fun things to give away to special readers just like you!! When Sweetpea first started pumping, I started searching for a pouch to carry her precious pink pump. At first, we borrowed a few from a friend until I could find someone to make one. Then, a few wonderful, kindhearted folks offered to make some for us. These pouches were great! But we found that when you wear something 24 hours a day, only taking it off for baths (as Sweetpea does), it gets worn out quick!! I ordered a few pouches from different places. But they all had problems. Some were too bulky and were very obvious under clothing. Some were too big. Sweetpea is a tiny little girl and the options out there for someone her size were few and far between. Some were uncomfortable and rubbed blisters on her belly. And some were just plain ugly. And then- I found Too Sweet Boutique! The minute I saw these pouches - with all the cute fabrics and personalization- it was like hearing the angels sing! This pouch was everything it claimed to be. It was well made. It was soft and comfortable to wear. It fit and it stayed close to her body so that it was not at all noticeable under clothing. AND it was darling! I ordered more! Then I ordered the clear add on for Sweetpea's cgm. And now, I get the honor of sharing one of these amazing pouches with one of my readers! 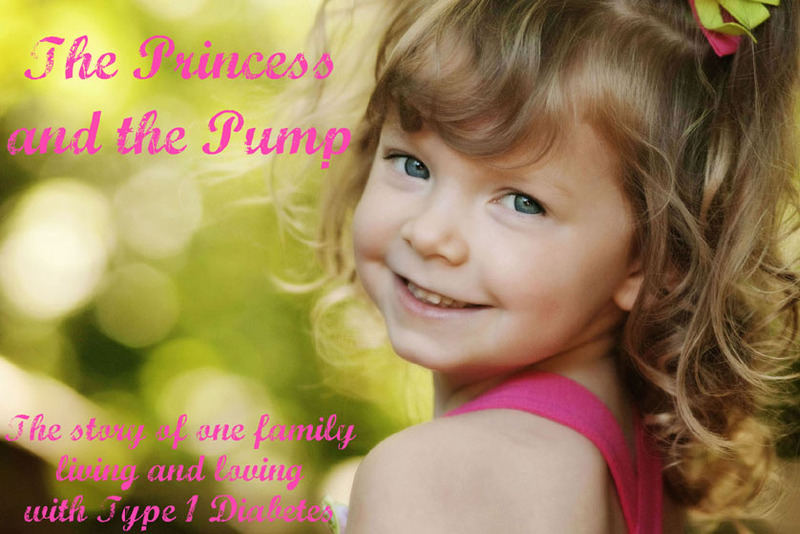 Amy, at Too Sweet Boutique, is offering one lucky The Princess and The Pump reader a very special gift! The winner of this contest will win a single pouch of your choosing up to a $45 value!!! Too Sweet Boutique offers many wonderful pouch options. There are Simply Practical pouches, Perfectly Clear pouches, Omnipod PDM pouches, Simply Practical add ons, Perfectly Clear add ons. You can even "mix it up" by choosing 4 different fabrics and trim for an amazingly unique pouch! There are both girl and boy fabrics available. And, you can add a monogram or a name for personalization! To check out the site click HERE! Oh- did you want to know what you have to do to win one of these awesome little pouches?!? - To enter, leave me a comment. - An additional entry can be received for a FOLLOWER who links to this contest on Twitter or Facebook and leaves a link in the comments. contest and leaves a link in the comments. - The winner will be posted on this blog on Friday, September 3rd. I stumbled across your blog a little while back from candy hearts. It has been such a comfort reading d blogs and hearing that I'm not alone in this. Thanks for sharing your life with us! WOOT WOOT!!! Count me in too girl. These are SO cute! Add me to the contest. Thanks, Hallie! This is greatness!!!!!! Cute... count me in! A girl can never have too many accessories! We are not pumping YET so i will withdraw my name from entering this one...I just wanted to say HI!! I'm so in! TOO SWEET!! I'll post my links in the comments soon! Ooooh, I want one! Bet the boy ones are cute too. I'm in! They make clear OmniPod pouches, so they rock in my book! These look like they would be perfect for my 4-year-old princess! Very cute. 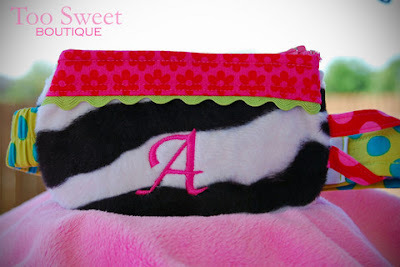 I have a "Too Sweet" girl, too, and I can attest that Amy makes the most beautiful pouches! My Alex doesn't even want to take her pouch off to let me wash it! I love your pouches .. they are so so cute! I received this week my first pouch and i'm in love with this lovely product. My daughter is so confortable with the minky belt. My princess is getting her first pump this week and another friend suggested toosweetboutique.net. We have been "window shopping" already! We have a 4-year-old pumping princess too (dx 8/21/09) :). We also LOVE our Too Sweet Hello Kitty pump pouch. Would love to win another one! Posted to facebook too :). We LOVE our new pouch from TooSweet with the clear window! In fact, we are addicted to it and can't stand to wear one without the window now. It would be awesome to have another one. Thanks Hallie! I would love to be considered for your give-away. I always love finding new blogs that I can connect with other parents in the same situation :) Thanks for letting me share in your story! My wife is a silent lurker and told me about this. Here's hoping we win for our daughter! Would love one for Megan! I love this blog! Count me in! My 7 year old daughter has been a pumper since June 2009 and these are the cutest I have seen! Also posted a link to facebook! Thanks! Ooooh, so cute! I've seen her shop on Etsy. Adorable stuff! Count us in ... Very cute! We are to receive my daughter's pump tomorrow so I have been checking out lots of pump pouches online. This is adorable! I'm off to the site now to check out their other options. 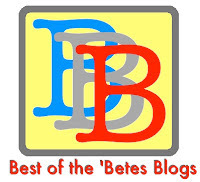 I'm a new follower both to your blog and on Twitter. I just tweeted it. I'm @AmyMCGS on there. A has a camoflage one here in Finland and it is brilliant! Hurray for cool pump pouches! Count me in please! These are SO cute!!! Posted it on FB as well! Hallie, Brianna would love to win one of these. We have been looking at getting one for a while. To get one for free would be awesome!! Thanks again for your contest. Your blog is something I read all the time. My daughter told me about this contest. 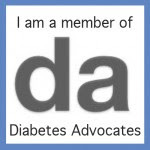 My granddaughter has T1 diabetes. I think she would look fabulous is one of these packs. Anything to make diabetes easier on these kids. Pray every night for a cure!! Ummm....HOLLA HOLLA....on FB, but I can't figure out how to post that link back here....I NEED A TUTORIAL! God Bless all our pumping princesses..My too sweet princess is 4..dx at 13 mos old..we put her on a pump last October. I hope that someday all our babes will be able to say "I used to have diabetes"..PS..I love too sweet boutique..Amy is so talented!! Count me in as having a pump princess as well! Mine just turned 7 and has been pumping for nearly 5 years now! We got our 1st pouch from Amy several months ago...we'd love to have another!!! I LOVE these pump packs too!! They are so adorable!!! My little princess is now 8 and was dx'd type 1 when she was 4. 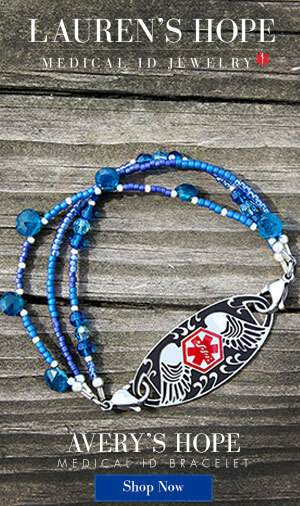 Half her life has been living with diabetes...she won't even remember life without it. I hope one day she and all type 1's will not even need pump packs anymore. Please enter her in the drawing, she would be so thrilled to win one of these BEAUTIFUL pump packs! We heard about this on FB, but I'm not sure if that matters or not. Best of luck to everyone...someone is going to be very lucky! count us in. these are our all time favorite pump packs. We show them off with pride! Olivia picks out outfit to match her packs! The highest quality pack you will ever find. Thanks. fun contest! Pick me Pick me!!! 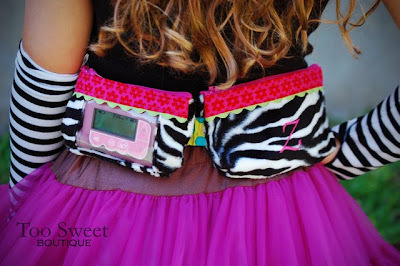 We love Amy's pump pouches it's the only one that my daughter will wear!!! Thanks Amy for making such a great pouch with the clear front! I just love your blog. My "little" princess is 17 yo, so she would probably gift it to her "adopted" little D sister who would probably wear it like a fashion statement around her tummy! This is perfect timing for us as I've been pump pouch shopping all week for my 13 year old T1D son! The "princess" is so very beautiful! Wonderful blog - keep up the good work! Very cute pump packs - I like the clear front. My 6 year old daughter says that they are very GIRLIE and she LOVES them. Thanks Hallie!